There is something new about the sporting events at Miami University. It is not the new football coach, or the recent addition to the Goggin Ice Arena. It is something called the Zero Waste Initiative, and it is helping students take their part in Miami’s movement towards sustainability. The Zero Waste Initiative is a new program implemented by Miami’s Green Team, a group of students that organizes a variety of on-campus sustainability events. The Zero Waste Initiative aims to reduce the amount of garbage thrown away in trashcans, and instead encourages the use of composting and recycling at sports games. Zero Waste Stations are stands where people can properly dispose of their garbage into either compost bins, recycling bins, or trashcans and are manned by zero waste ambassadors who can help guide people to the correct forms of disposal. They will be, and have been, at every home football game so far, and will also be present at hockey and basketball games. The concept of zero waste technically means that at least 90 percent of waste is diverted from landfills, but the Green Team is more realistic in its approach. “We don’t really endeavor to make that happen,” says Green Team’s president Anna Ginsky, “the intention is to raise awareness to a very possible behavior change”—a behavior change geared more towards sustainability than convenience. Yet despite its simplicity, the Zero Waste Initiative has not been a success so far. Ginsky believes it is a matter of people being aware of the services the Green Team offers and seeking them out. Surely it has been said and heard before: recycling is good for the planet. 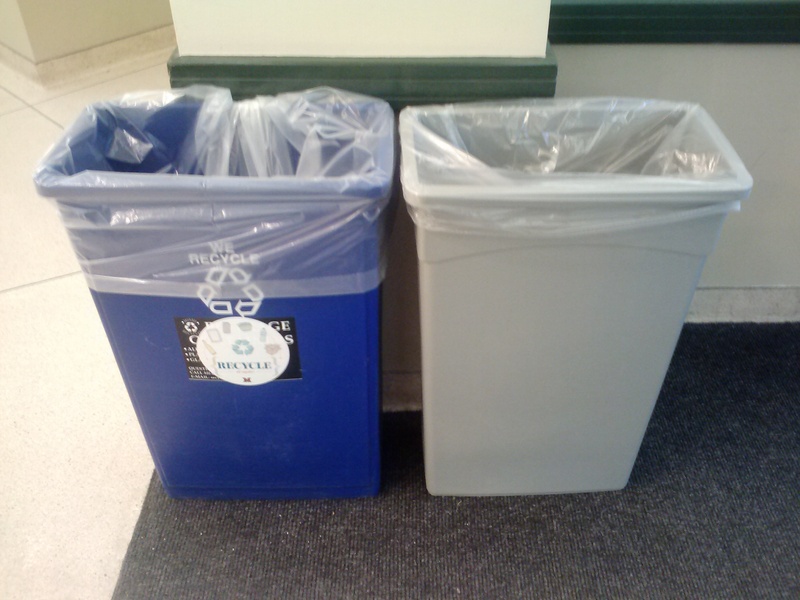 But even with “recycle” as a buzzword for the environment, the differences between composting, recycling, and trash are not always clear. Recycling takes many products, such as metals (like soda cans), clean paper, glass, and plastics. Composting includes food and paper products like napkins, soiled cardboard, trays, and soda cups—all of which are too often found overflowing out of trashcans. The problem then is not finding solutions to the tremendous amount of garbage the university must deal with every day. It is getting students, faculty, alumni, and visitors to make an effort. “It takes five seconds out of your day to learn what goes where and dispose of it properly,” says Boyle. This year, Miami’s sports teams are not the only ones seeking a win at the home games. The Zero Waste Stations are too—by little steps towards helping the planet.